Crimp covers hide a 2mm crimp tube and give a professional finish. 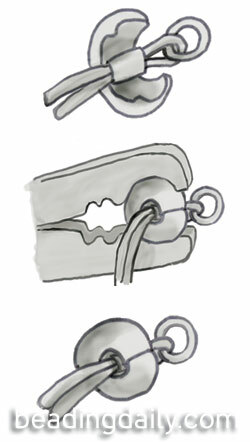 To attach, gently hold a crimp cover in the front notch of the crimping pliers. Insert the crimped tube and gently squeeze the pliers, encasing the tube inside the cover.